A Virtual Expansion released on 2011-08-06. Enhance your favorite decks with the new and returning favorite cards in Homefront II, a new First Edition reprint expansion that provides tricks for almost every deck. 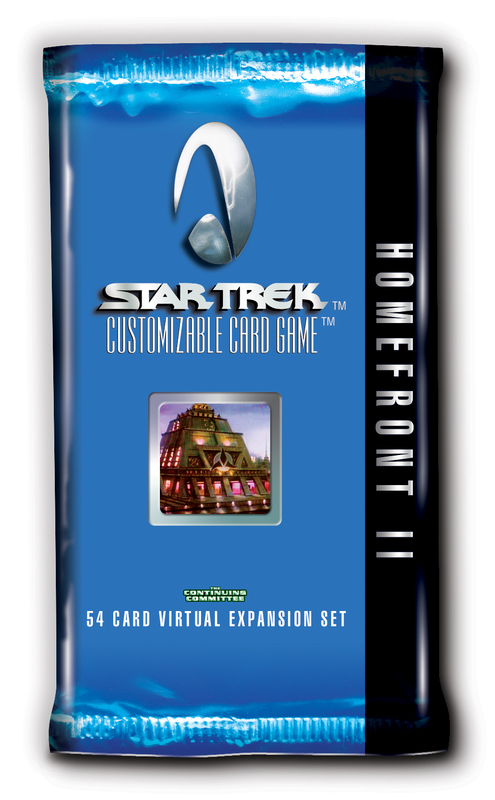 This expansion brings fifty-four (54) new, converted, and reprint cards to the virtual environment, including nine dilemmas, over two dozen "free" reporting personnel, and several very hard to get cards.